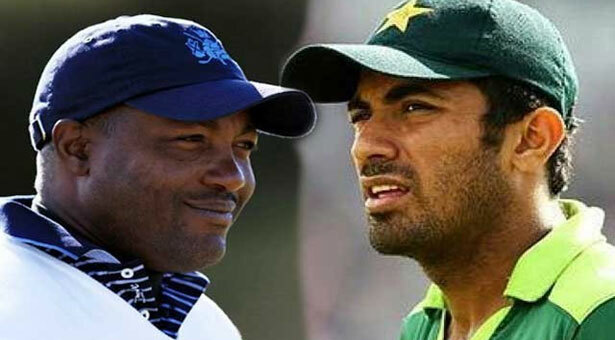 LAHORE: Pakistan’s ace fast bowler Wahab Riaz on Tuesday invited the batting legend Brian Charles Lara to visit Pakistan after the latter expressed the wish in the media in meeting the former. In a message on micro blogging website Twitter, Wahab said he was proud and honoured that legend Brian Lara wanted to meet him and that it would be a privilege for him to host the former West Indian batsman. It may be noted here that the West Indian legend, Brian Lara had tweeted during the quarterfinal between Pakistan and Australia, saying he enjoyed the spell of Pakistani fast bowler Wahab Riaz. Talking to an Indian channel after the 3rd quarter-final of the world cup, Brian Lara expressed disappointment over the International Cricket Council’s (ICC) decision to fine Wahab Riaz and Australian batsmen Shane Watson. He said, “I can’t wait to meet Wahab Riaz and will pay his fine”. “A guy running in bowling at 150km/h plus and Watson looked like he was at school”, Lara added.